It's time for LG to show us its plans for the future of mobile. 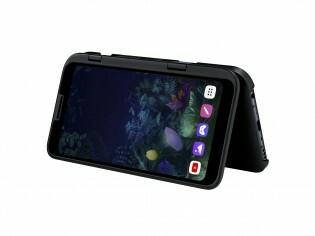 Today at the MWC 2019 it unveiled the V50 ThinQ 5G as well as the G8 ThinQ and the G8s ThinQ. LG is keeping with the times and is making 5G a major focus, so much so that it's added it to the name of its flagship. 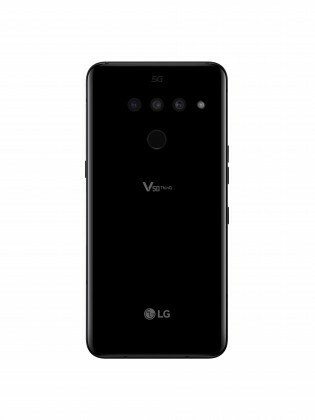 The LG V50 ThinQ 5G is the maker's first 5G phone with a Snapdragon 855 chipset with an embedded Qualcomm X50 modem, promising "up to 20 times the speed of 4G". The LG V50 ThinQ looks similar to its predecessor thanks to essentially the same 6.4-inch 3120x1440px OLED FullVision display. LG has steered clear of the whole punch-hole craze and has stuck with a notch, which houses two selfie cameras - a standard 8MP one and a 5MP wide-angle one - just like the V40 ThinQ. The triple camera on the rear has been carried over from the LG V40 ThinQ. The 12MP f/1.5 standard + 12MP f/2.4 telephoto + 16MP f/1.9 ultrawide triple camera is still quite capable and modern. The LG V50 ThinQ 5G has gained a 20% larger battery than its predecessor at 4,000mAh. It also has stereo speakers, a 32-bit Hi-Fi Quad DAC, FM Radio and a body that's MIL-STD 810G compliant. There is no in-display fingerprint scanner and instead LG makes do with a fingerprint scanner on the rear and selfie camera-achieved face scanning on the front. While LG is not hopping on the foldable phone train, it did create a wacky second screen case for the V50 ThinQ 5G. 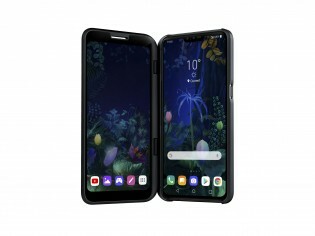 The Dual Screen accessory is a case with a second 6.2-inch 2160x1080px OLED screen that connects to the LG V50 ThinQ 5G through the pogo pins on its back. 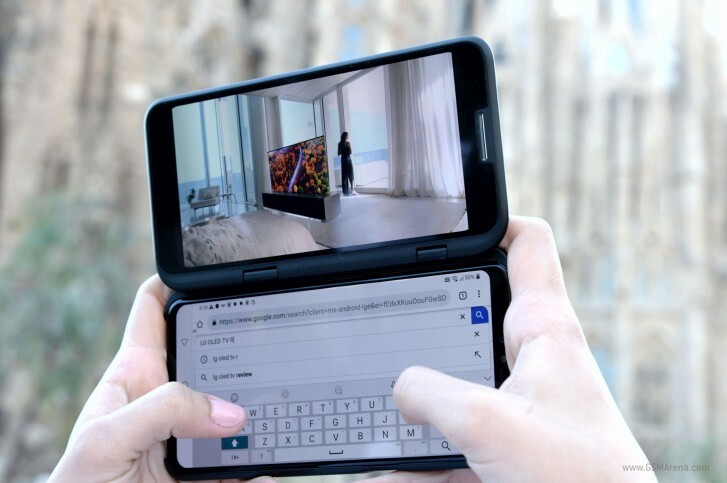 The Dual Screen will enhance multitasking and gaming by giving you a second screen to work with and will work in either landscape or portrait, making the LG V50 ThinQ a foldable phone of sorts. 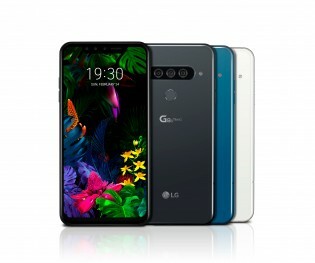 LG also unveiled the G8 ThinQ and G8s ThinQ. Both come with a Snapdragon 855 with 6GB of RAM (no 5G modem, though) but differ in screen size, cameras and batteries. The LG G8 ThinQ has a 6.1-inch 3120x1440px OLED display, a 3,500mAh battery and a 12MP standard + 12MP telephoto + 16MP ultrawide triple camera. 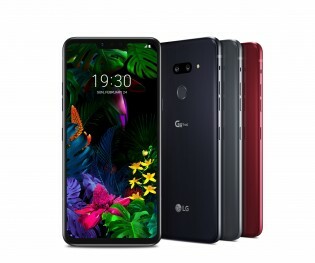 The LG G8s ThinQ has a larger 6.2-inch OLED of inferior 2248x1080px resolution, a 3,550mAh battery and a triple camera consisting of a 12MP standard + 12MP telephoto and 13MP ultrawide camera. LG will also have a G8 ThinQ with a dual rear camera for specific regions and markets. 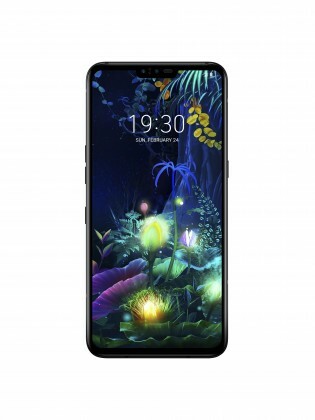 Both the LG G8 ThinQ and the LG G8s ThinQ come with an 8MP selfie camera and a second ToF (time of flight) 3D camera that achieves Hand ID, which reads the thickness and other characteristics of the veins in your palm to unlock the phone. The 3D camera is also used for more secure Face unlock that won't be fooled with a two-dimensional photo of your face. You'll also be able to control the LG G8 ThinQ through air gestures called Air Motion. Waving a hand or pinching the air will allow for taking calls, increasing and decreasing volume or taking screenshots while you're driving, for instance. 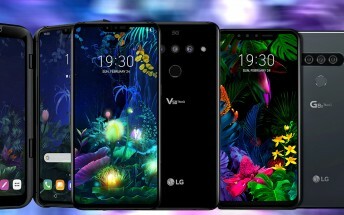 The LG V50 ThinQ 5G will come in a single Aurora Black color while the G8 ThinQ will come in Carmine Red, New Aurora Black and New Moroccan Blue.